Cannabis opposers are now crying and calling for a boycott of T-Mobile over Snoop Dogg and Martha Stewart’s commercial that was shown during the Super Bowl. 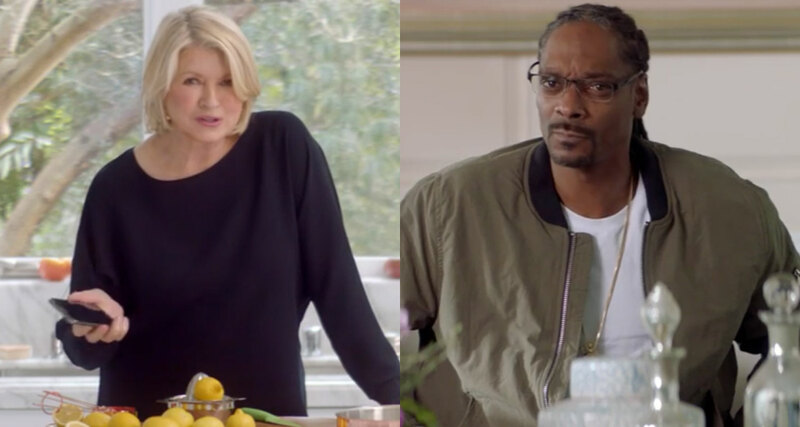 If you watched the Super Bowl, then you probably saw Snoop Dogg and Martha Stewart’s T-Mobile commercial. Not only was it the best one of them all, but it was also brilliant with its hilarious weed euphemisms. But of course, cannabis opposers are now crying and calling for a boycott over a harmless ad. According to the group, Parents Opposed to Pot, the advert is an attempt to normalize pot. In case you missed the ad that is sparking unnecessary outrage, check it out in the video below. Football season may be over, but people are still complaining, and it has nothing to do with the sport. As it turns out, cannabis opposers are furious over Martha Stewart and Snoop Dogg’s T-Mobile commercial. The ad is meant to play off Stewart and Broadus’ VH1 reality show, ‘Martha & Snoop’s Potluck Dinner Party,’ a show geared to millennials that some reviewers concede is nothing more than an effort to normalize the use of marijuana. But the thing is, there is no pot in the video at all, nor is there any paraphernalia. The commercial does, on the other hand, hilariously point out a few cannabis puns. Nevertheless, the group has set up a petition to boycott T-Mobile. As of Thursday, only 136 people have shown support. The ultimate goal is to reach 1,000 signatures.